One in eight people work nights in Britain, and are essential to the running of our 24-hour society. But the latest research has shown that issues around sleep and sleep health are having a negative impact on workers’ jobs and wider lives. 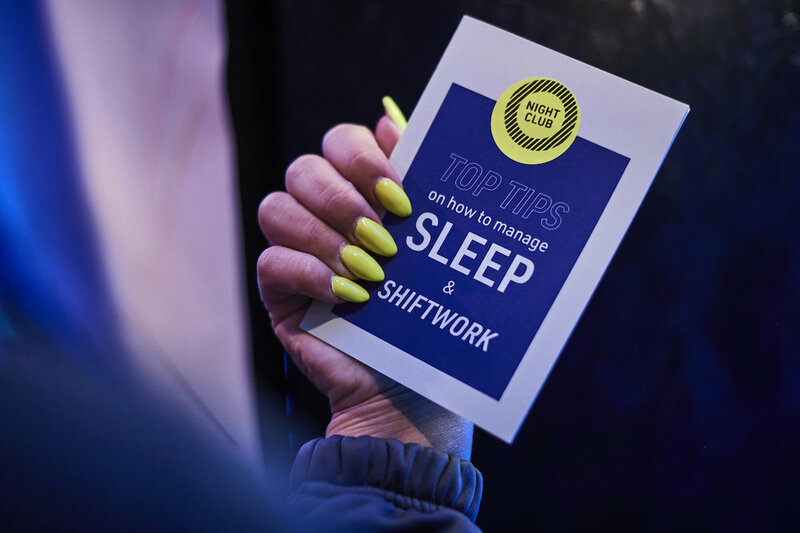 The Wellcome Trust enlisted our help to explore the subject of sleep and shift work, and how we might make a healthier 24-hour workforce. We led a multi-partner project that brought leading sleep researchers from the University of Oxford together with Co-op, who were keen to explore ways to increase levels of engagement and job satisfaction in their large cohort of night shift workers. After conducting research we created Night Club – a community and unique physical space where Co-op warehouse operatives came together to learn, discuss and engage through innovative educational activities and experiences, including: expert clinics, light based experiments, chronotyping activities, midnight feast meals and an immersive sleep haven. The engagement intervention was designed to inform and empower a workforce facing multiple challenges. Night Club was open onsite at Co-op over a six-week period. In that time, it attained a very high attendance from night shift colleagues across the organisation, with 85% of attendees reporting that they had learned new information about sleep and their own sleep health during the process. 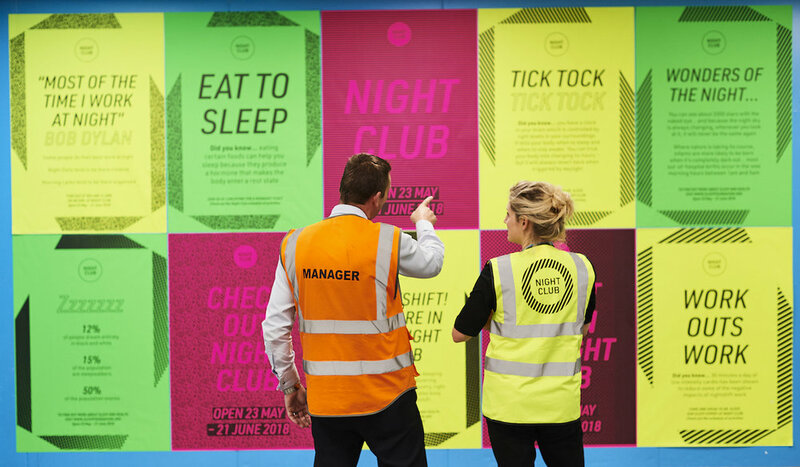 As a result of Night Club, Co-op are planning to review working practices on the night shift and with support from The Wellcome Trust, we will be extending the reach and impact of the project through partnerships with other major UK employers.